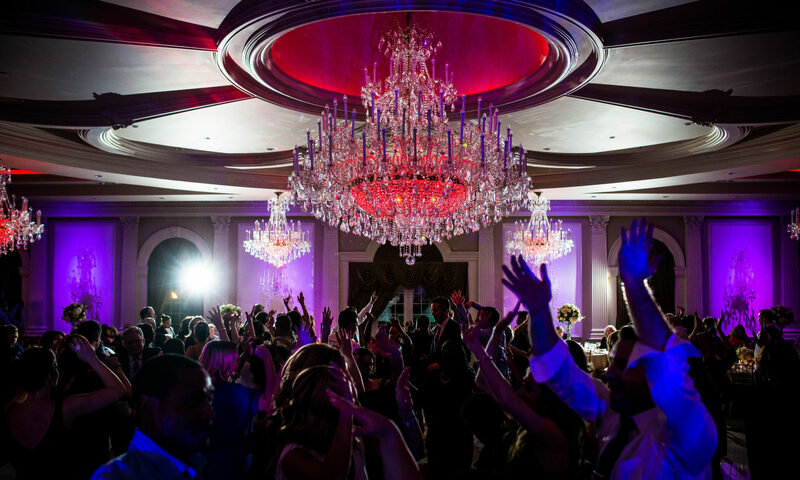 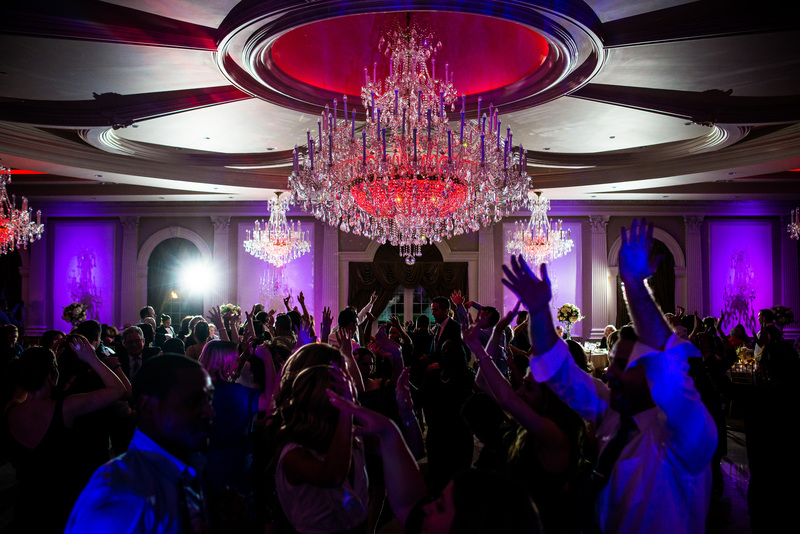 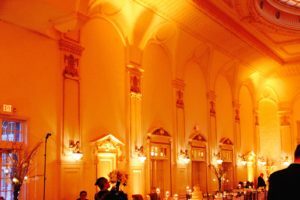 Uplights/Ambient Lighting: Uplighting (also known as ambient lighting) is a service we offer that allows us to wash an event space in any color our client chooses and is an effect that can really transform a room. 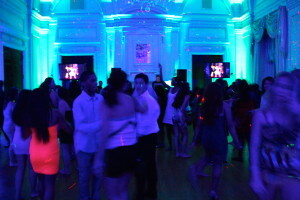 It can be one color throughout the event or can change colors as the event progresses. 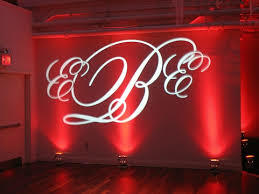 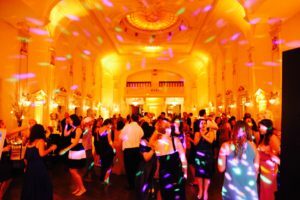 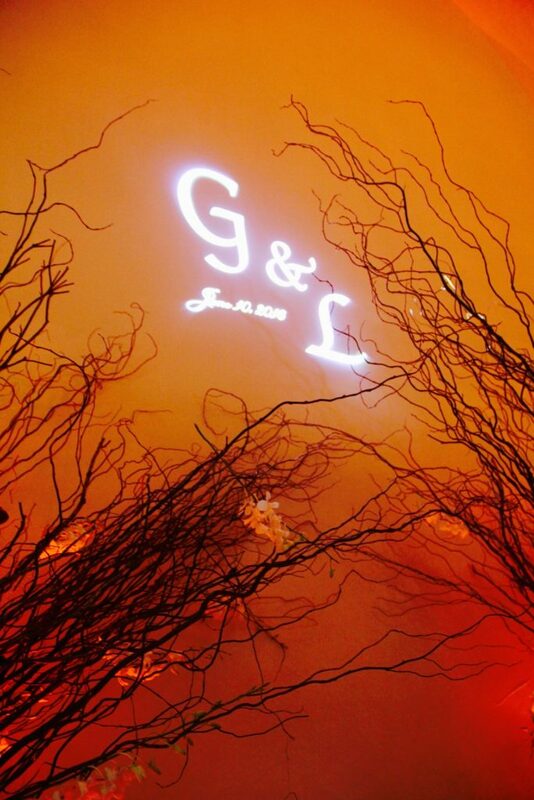 GOBO options: A GOBO is a custom light designed for a specific event. 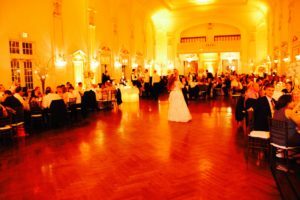 Any design can be used (for example many of our wedding clients choose to do they’re new monogram) and then be displayed at the event. 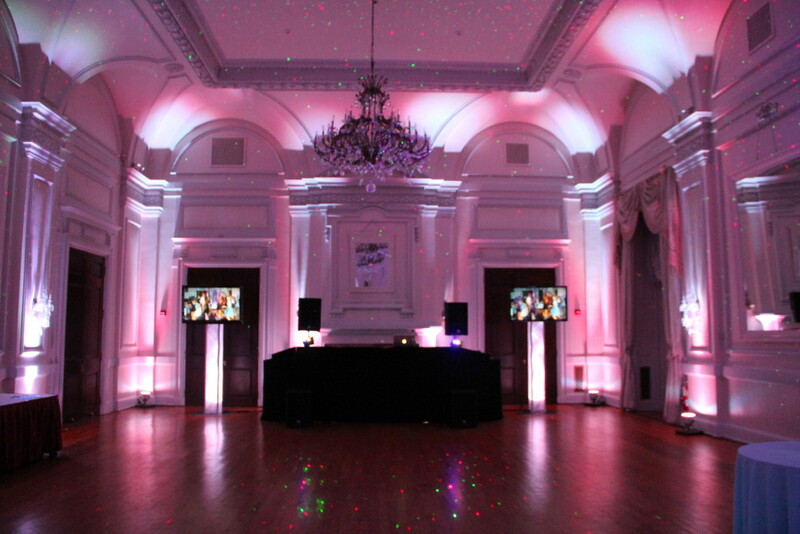 Our GOBO system can project the design (monogram, logo, whatever our client chooses) on to the dance floor or wall space throughout the party.